Quickly and efficiently remove static – excellent point-and-shoot operation. Alpha Technology – self-powered and intrinsically balanced ionization. 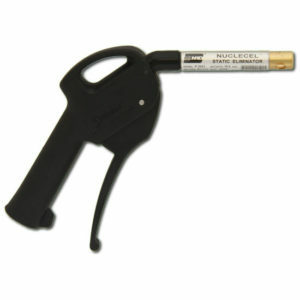 General purpose gun utilizes a thumb actuated trigger is ideally suited for a wide variety of industrial applications. 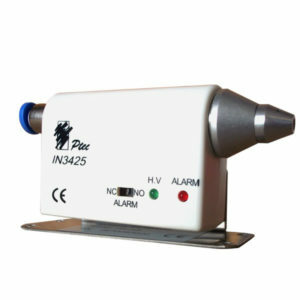 A high-quality ionizing gun that is self-powered and intrinsically safe, while providing perfectly balance static eliminating ions. 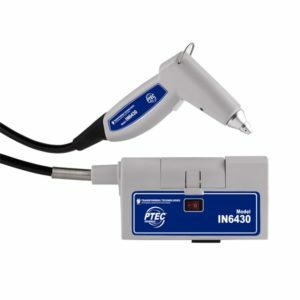 The Staticmaster® P-2021-8101 Industrial Ionizing Gun Kit uses a finger activated trigger and is ideally suited for a wide variety of industrial applications. It is intended for use with dry, compressed air. 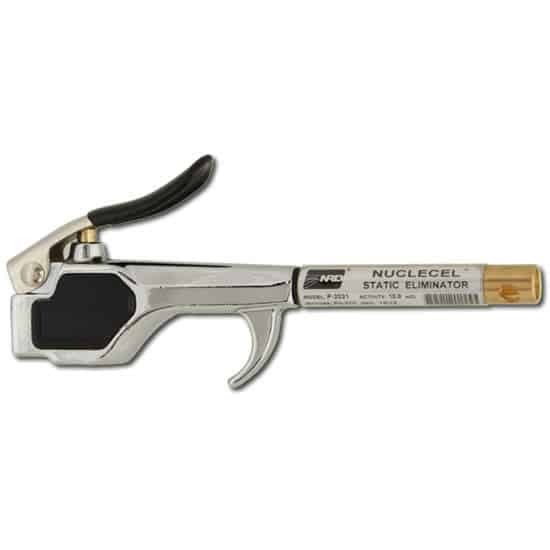 The kit includes thumb actuated handle, P-2021 ionizing cartridge, and brass OSHA-compliant tip. NRD’s line of Industrial Ionizing Gun Kits features ergonomic designs, rugged construction, and reliable performance. All guns are self-power by NRD’s proprietary alpha ionizing cartridge Model 2021. These high-quality guns require little or no maintenance and are intrinsically safe for use in flammable or explosive environments. From plastics and printing to packaging and auto body, there is an gun kit to suit virtually every industrial application. This general purpose gun utilizes a thumb actuated trigger and is ideally suited for a wide variety of industrial applications. It’s intended for use with clean, dry compressed air. To maintain peak performance, alpha ionizers sources are available on a one-year lease. The gun handle is owned by the customer. The leaseholder is notified 4 months prior to lease expiration and provided all the necessary information to obtain a replacement ionizer cell. Alpha energy delivers an intrinsically balanced cloud of ions that are extremely effective in eliminating static changes, reducing product damage and yield loss in the electronics, plastics, graphics, printing and converting industries. 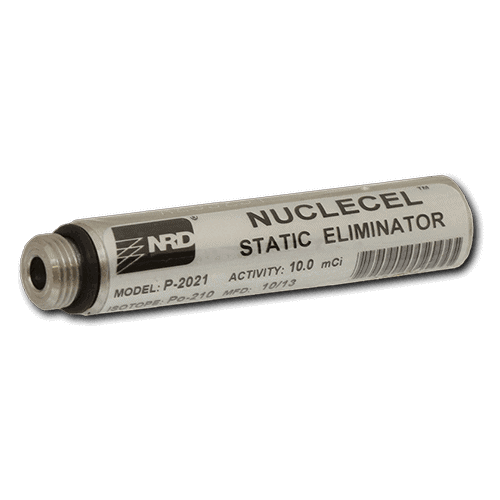 They are great for critical applications such as explosive environments because they do not require power and do not product sparks. 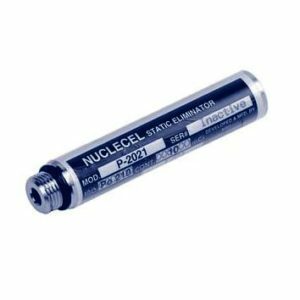 Based upon safe alpha technology, the ionizers are powered by their own internal energy source, Polonium-210. This naturally occurring isotope is locked inside a metallurgically bonded foil of gold and silver using NRD’s proprietary encapsulation process, assuring you of a safe, sealed source of alpha ionization. Self Powered – No Power Needed.